If you've ever dreamed of getting married under the golden arches, now's your chance. 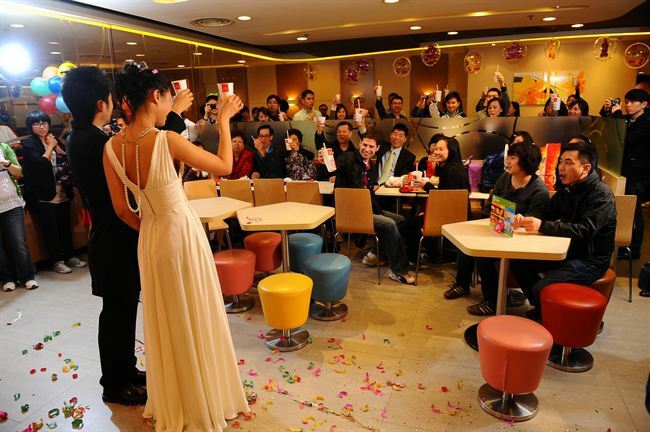 That's right: some McDonald's locations in Hong Kong are now McDoubling as wedding venues! 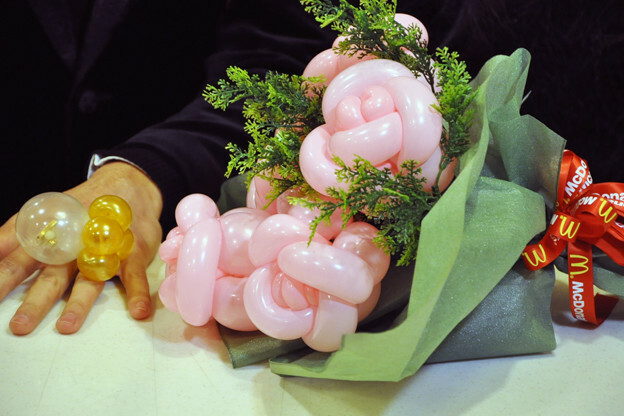 For about $1,290 American dollars, couples can say "I Do" during a 2-hour ceremony accompanied by a slew of amenities, including: 50 invites, a pair of McDonald's balloon wedding rings, a bridal bouquet, wedding gifts, and perhaps the best part- an apple pie wedding cake. Talk about a value menu! A company spokeswoman gave CNBC insight to what sparked the idea. "We started the program because many customers tell us that McDonald’s is where they first started dating…McDonald’s is where their love stories grew,” she shared. If you're planning a trip to Hong Kong in the near future and want to supersize your vows, you can check out more of the package details on the McD's website. Are you lovin' it? Share your thoughts below!